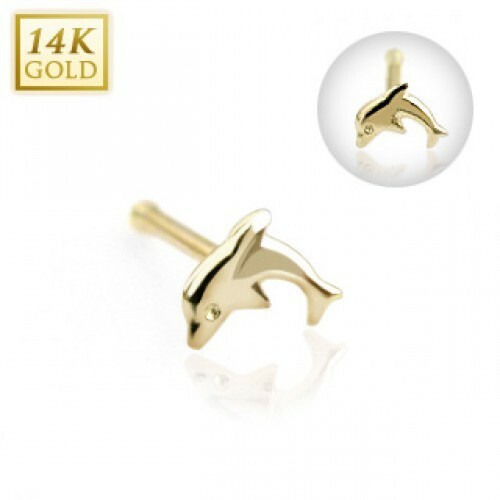 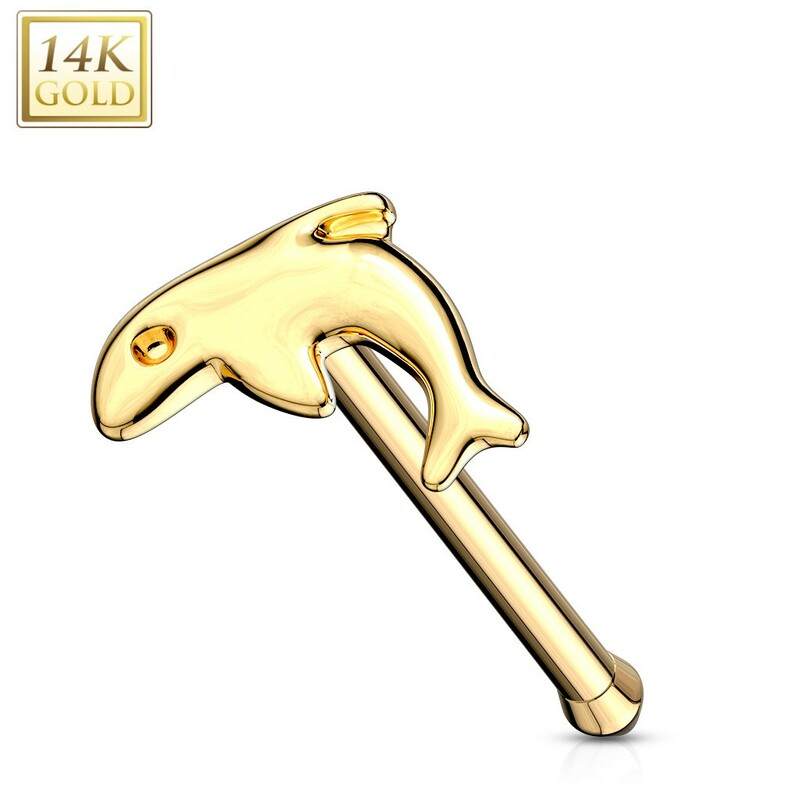 Just like the magnificent dolphin, let this stunning nose bone leap from your face in a statement of fashion. 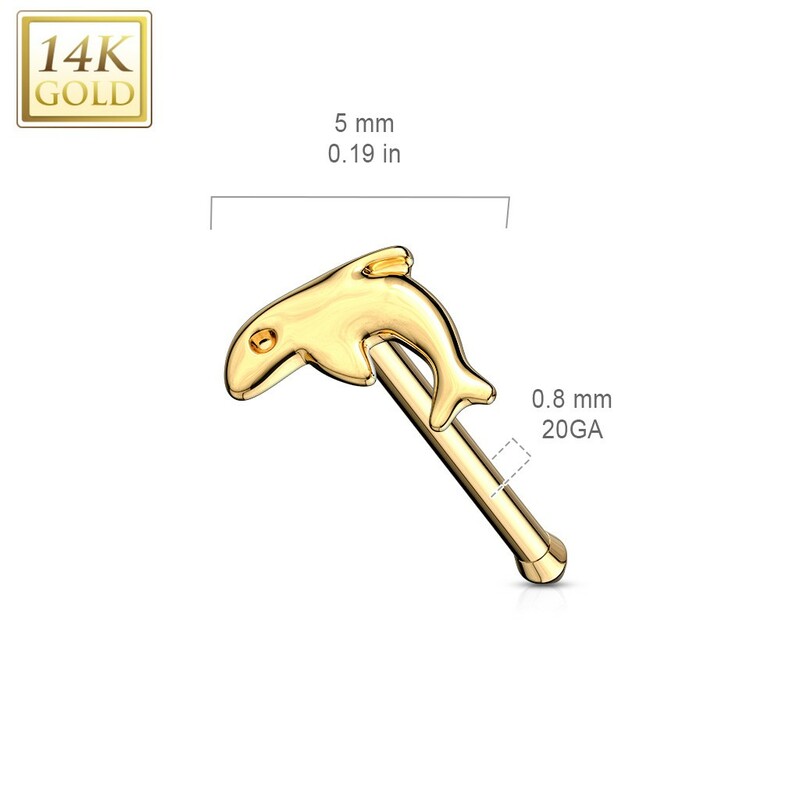 This nose piercing really stands out for its gorgeously crafted dolphin design which sits comfortably on the nostril. You can also feel secure in the fishtail design of the piercings bar. 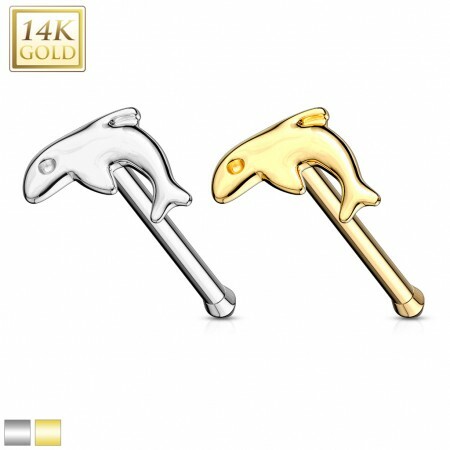 Whether you prefer white or yellow gold, you will get the most out of this classy piercing, with real gold lasting a lot longer than other materials that may be plated.